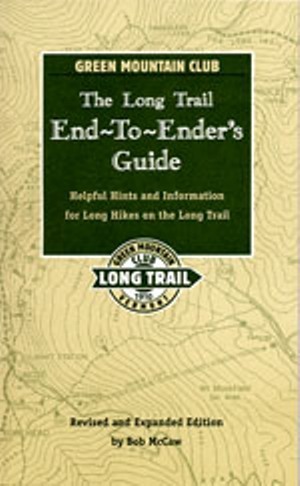 Long Trail End-to-Ender’s Guide, 2017 edition. Published by Green Mountain Club. Invaluable reference for planning a thru-hike on Vermont’s long-distance footpath. Details on road access, shelters, stores, restaurants etc. 64 pp, 4 1/8" x 6½”.